A follow-up to 2014′s “Shooting Stars” Pack, Nike presents the Air Penny “Sharpie” Pack, pairing the iconic Foamposite One with an all-new hybrid model aptly dubbed the Air Penny 6. 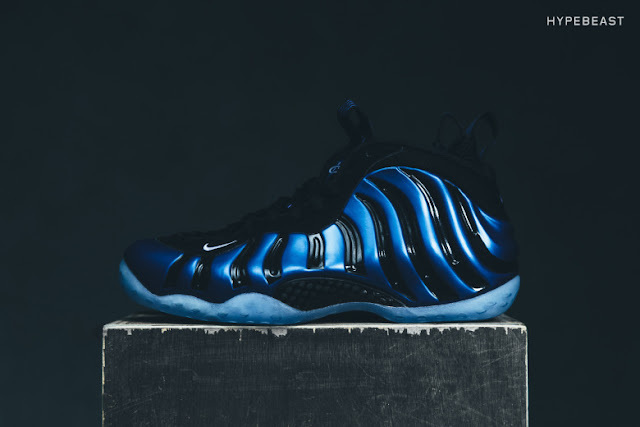 The Foamposite One appears in its original Orlando Magic royal blue-and-black colorway with the addition of black Tiger-like stripes along the ridges of both the medial and lateral sides. These markings are a homage to when a young Anfernee “Penny” Hardaway took a sharpie to his player exclusive sneakers to meet the NBA’s strict uniform policy of the time. 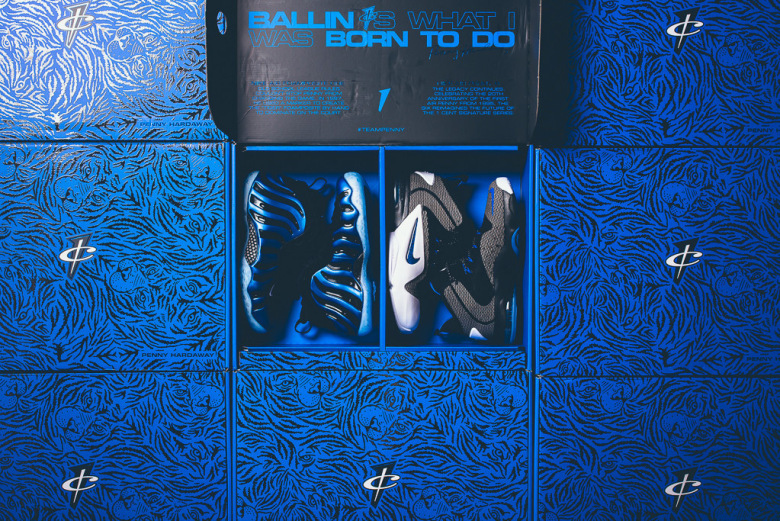 The story goes, back in 1997 — the year in which the Foamposite One launched — the NBA was not too fond of its colorful appearance, similar to Air Jordan 1 “Breds.” Instead of lacing up one of his older signature models, Penny colored his sneakers with a sharpie to meet the required amount of black and proceeded to play against the favored Miami Heat in Round 1 of the NBA Playoffs (photo). As a further tribute to his performance that series, the insoles feature the numbers 41 and 42 respectively for the amount of points he scored in Games 3 and 4 of the series. Unfortunately however, this was the post Shaquille O’Neal era and the Heat proved to be too much for Penny and his Magic as the superstar combo guard was sent home in Game 5. 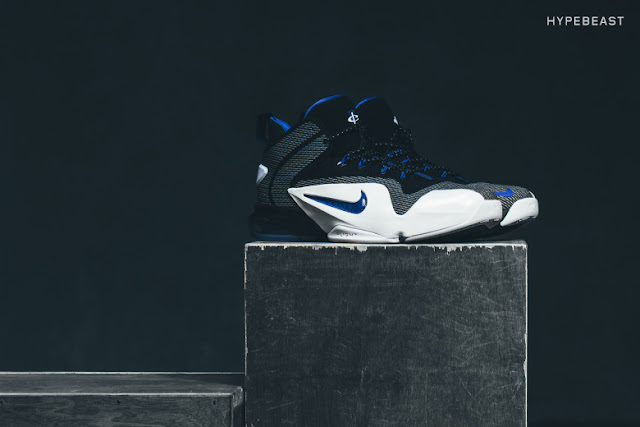 As for the all-new Air Penny 6, this model features a number of subtle influences from prior Penny models with the addition a Megafuse constructed upper and Dynamic Flywire support. 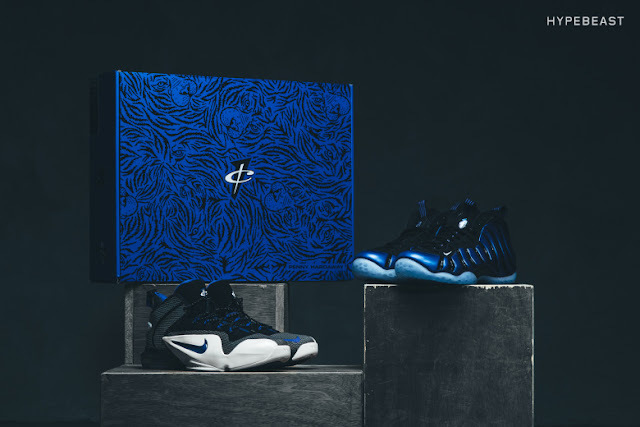 The Nike Air Penny “Sharpie” Pack will be available this Saturday, July 4 for $500 USD at select stockists, including Sneaker Politics.